Step 2: Now scroll down to 'USER AND BACKUP' section and tap Accounts. 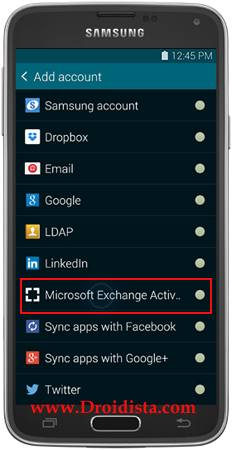 Step 4: One the next screen find and tap Microsoft Exchange ActiveSync. 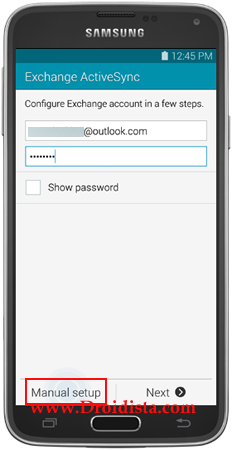 Step 5: Now enter your Exchange email address and your password. 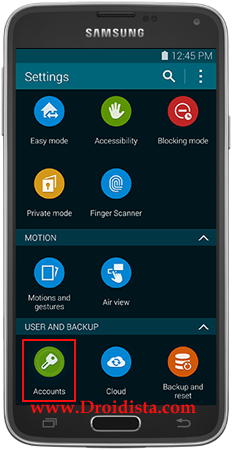 Then, tap Manual setup on the bottom of the screen. Step 6: As I mentioned earlier, you must know your server settings because in this screen, you will enter them. 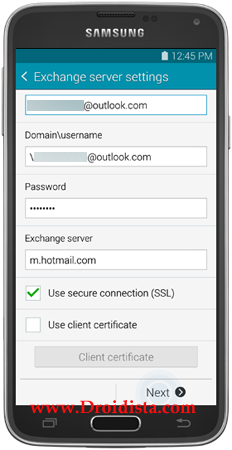 The information you need are: email address, password, domain/username, and Exchange server. 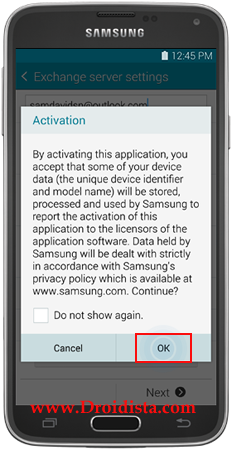 Step 7: On the next screen, you will be prompted with the Activation information. Read it and tap OK. Step 8: Now, you need to configure your account and set Period to sync email, Sync schedule, Peak schedule, Emails retrieval size, and Period to sync Calendar. 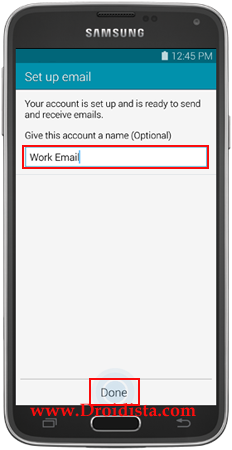 You may also want to check the option Notify me when email arrives. 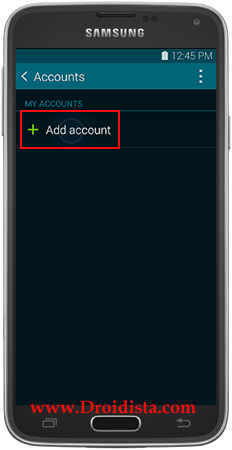 Step 9: Lastly, you need to give your account recognizable name in case you have more than one account on your phone, then tap Done when finished. All details of your Exchange account can be edited anytime, so you don't have to worry if you've entered incorrect information. 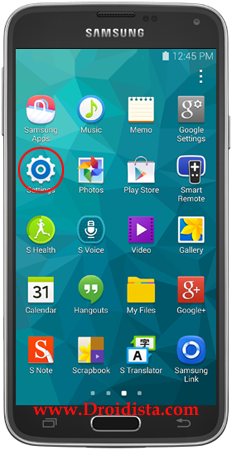 After all, you would know if the information you provided weren't correct because the Galaxy S5 can't sync with Microsoft Exchange ActiveSync server. I hope this tutorial helped you. Thanks for reading.